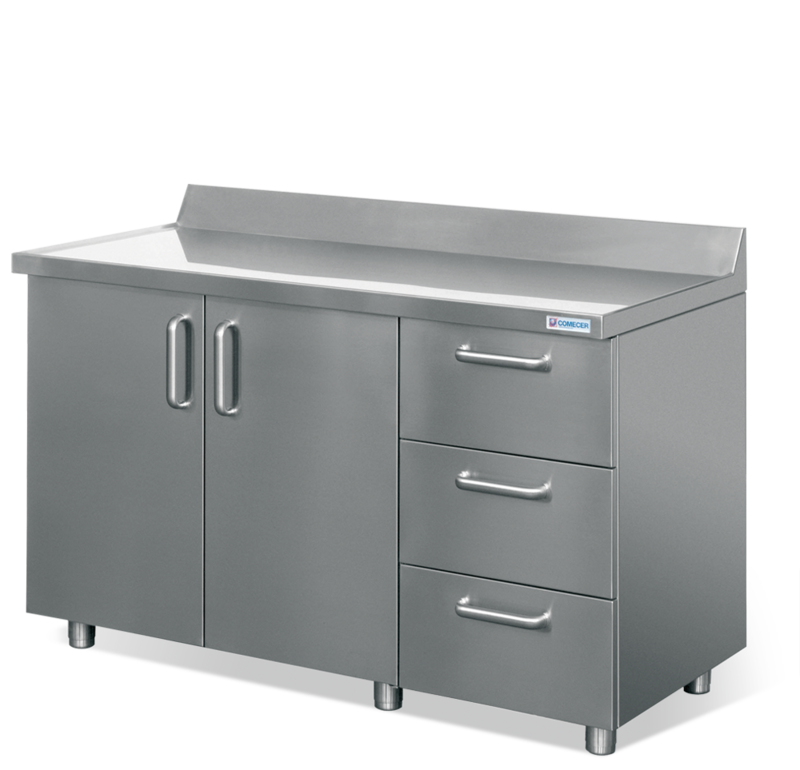 Stainless steel work bench with hinged double doors and three side drawers. Ideals for Radiochemistry and Nuclear Medicine laboratories. Worktop with raised border for holding the liquid and no sharp edges to allow the perfect removal of any radioactive residuals. Lower containment compartment sealed to prevent the leakage of liquids. Hinged front door with a key lock. Outriggers allow the approach to the posterior wall, within rooms with floor decontaminable.